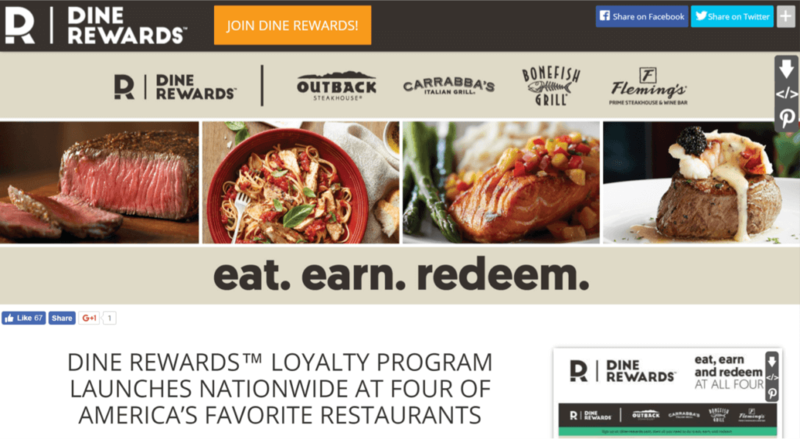 Last year RockOrange was engaged by Bloomin’ Brands, one of the world’s largest fast, casual dining companies to launch Dine Rewards®, the first nationwide loyalty program to offer rewards across the brands’ multiple restaurant concepts including Outback Steakhouse, Carrabba’s Italian Grill®, Bonefish Grill and Fleming’s Prime Steakhouse & Wine Bar. The combination of activity worked. 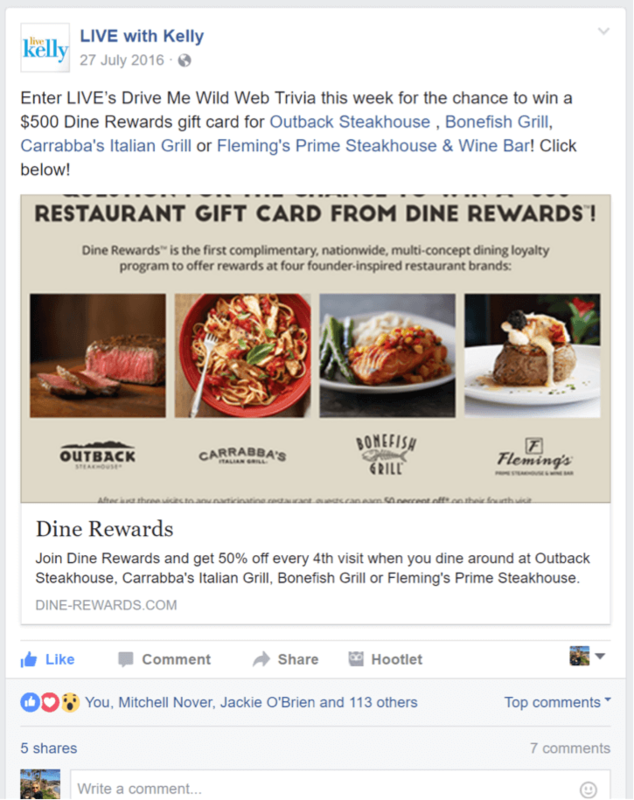 The day the press release was released, on July 19, 2016, more than 100,000 sign-ups to the Dine Rewards loyalty program were generated. Two weeks later, more than 800,000 members had enrolled, and by October that number had doubled to more than 1.6 million members. The activity produced 165 articles in online and print publications in the first month alone, including Mobile Commerce Daily, the Tampa Bay Business Journal, Loyalty 360, National Restaurant News and FSR magazine, generating 143,638,295 impressions with an equivalent ad value of $3,320,605. Social sentiment over the same time period was 100 percent positive with 4,506 mentions and 4,452 posts on social media generating more than 22 million impressions. 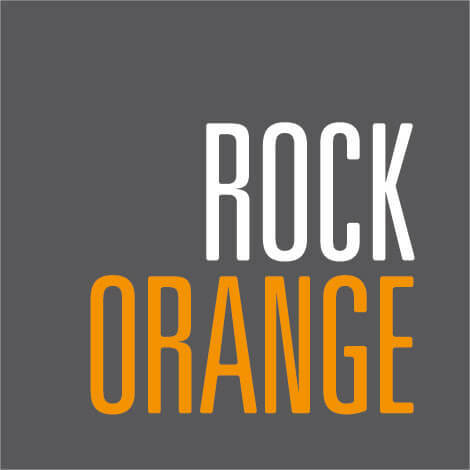 It’s finally here: 2017 has landed and those of us at RockOrange are filled with a renewed sense of hope, optimism and eager anticipation for what promises to be our biggest year yet! But we aren’t exactly glad to see 2016 go—although a lot of people are. For us, it was a formative year. We capped off 2016 being named a Top Place to Work in PR by PRNews, which was a huge recognition (even though we’ve known it for years). We also won honors from Bulldog Reporter who awarded us Bronze in the category of ‘Best Use of Digital/Social for Cause/Advocacy/Corporate Social Responsibility’ for the digital work we executed on behalf of Miami’s Zoological Wildlife Foundation (ZWF) and from PR News, who awarded our campaign that launched the Thalia Sodi fashion line at Macy’s top spot in the ‘Facebook PR Campaign’ category in the publication’s annual Social Media Awards. We were also recognized as part of the team behind the award-winning McWhopper campaign at the 2016 Cannes Lions Festival. Beyond the hardware, we bolstered our business last year by working with some inspiring new client partners, including launching Bloomin’ Brands Dine Rewards and the new American Museum of the Cuban Diaspora. We creatively introduced multiple Kitchen Aid products to Latin America, and elevated brands such as Red Robin Gourmet Burgers & Brews, Millennium Hotels & Resorts, Casa de Campo, Grand Hyatt Playa del Carmen, Planet Fitness, XtendBarre and Capillus. We’ve also expanded our scope of work with our friends over at Driven Brands, Maaco, Meineke and Restaurant Services International, and have continued our longstanding relationship with Burger King. These client partners, new and old, have put their faith in us, and we’re excited to continue our great work together. What else were we up to in 2016? Oh, not much… Only opening our own 17,000 square foot creative campus in the heart of Little Havana! 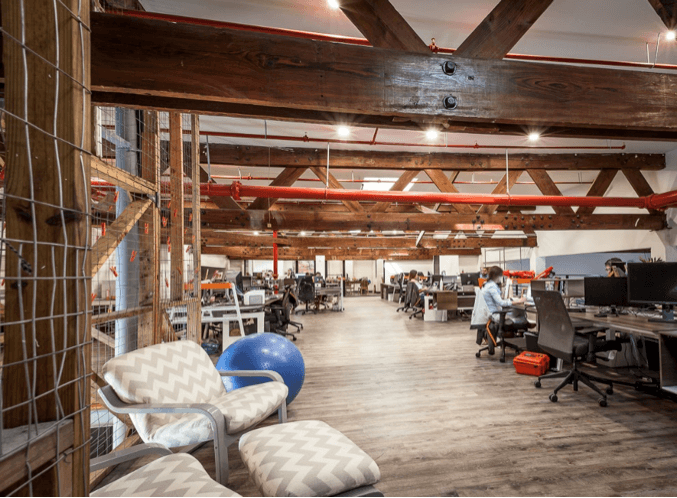 With a buzzing mezzanine chock full of hardworking RockStars, to the authentic Cuban coffee/espresso machine in our new cafeteria, to the impromptu creative sessions being held throughout our open-concept flexible floor plan, we finally feel like we are “at home”. So if you’re ever nearby, don’t hesitate to drop in! And finally, what would a killer creative campus be without creatives to fill it? This year, we added a slew of new RockStars to the team, headlined by creative director Sam Rodriguez, who has already made his mark on the agency’s aesthetic and attitude. We also brought on marketing ninja Louise Finlay, digital guru Rafael Aguirre, accounts superstar Frances Ramos and editorial specialist Jessica Pereda. We also proudly promoted two of our RockStars-in-Training, Elise Rodriguez and Carolina Vigoya, to account positions. All told, it was a year of challenges met and conquered for our powerhouse agency that seems to get bigger and work bolder every year. Our goal in 2017 is to continue to empower and evolve. We know that when our history is written, 2016 will be an important chapter. This is the start of a new chapter, wherein we are emboldened to do really big things for our awesome clients, to help drive their brands with innovative, fresh thinking, and together, help achieve their dreams.